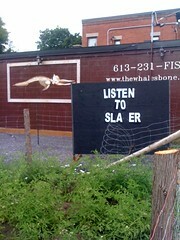 As seen on Kent St., at the whalesbone's sustainability laboratory. LOL. That picture is so weird yet so great!